Boost Your Immune System Naturally with 5 Must Have Products! There are a number of ways to boost your immune system naturally before you get sick. With a deadly flu going around, not to mention all the other illnesses we’re more likely to acquire when our body is worn down, you really don’t want to take chances. Boosting your body’s immunity however does more than just help deter illnesses. It can also help your body respond better to stress as well as lead to a more restful night’s sleep. And as a busy mom or a career driven rockstar, those are both things we can all use. I know I can. So whether the kids are bringing home germs from school, your coworkers are passing a bug around the office or you’re simply feeling puny, here are five easy ways you can boost your immune system naturally for overall wellness. I have two herbal supplements that I take daily to help boost my immunity. 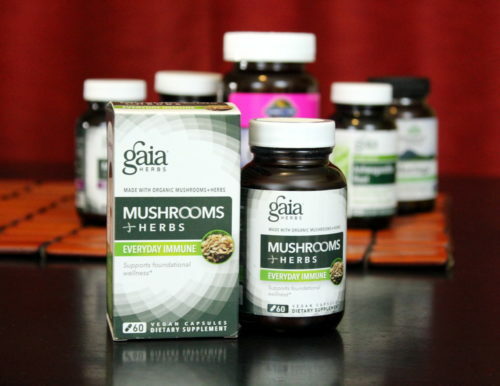 The first is Gaia Herbs Mushroom + Herbs Everyday Immune which contains a potent combination of mushrooms (Maitake, Reishi, Chaga, and Cordyceps) and herbs like turmeric and astragalus that have been seen to work at the cellular level. The Chaga mushroom is commonly found on Birch trees throughout the colder climates of the Northern hemisphere. Historically consumed for centuries in the East as a tea, this powerful antioxidant rich mushroom is rich in Beta-D-Glucans which help to balance the body’s immune system response. Additionally, Chaga is also used to supports the body’s response to modern cancer treatments, such as chemotherapy, by compensating for the negative side effects. In addition, it’s also believe that Chaga can soothe pain associated with neuropathy and diabetes. As such this herbal supplement has been a key component in my overall health as someone who has struggled with fibromyalgia. Other health benefits include its support for healthy blood pressure and cholesterol – Chaga is able to break down LDL cholesterol or bad cholesterol in the bloodstream – as well as offering support for gastrointestinal issues such as ulcers. Turmeric, a powerful antioxidant with anti-inflammatory properties, contains curcumin which is also believed to have anticancer properties. There have been over 2000 studies and a phase 1 cancer trial in the UK that have shown curcumin can help to prevent several forms of cancer including breast, lung, stomach, liver, and colon cancer. Astragalus, a perennial flowering plant traditionally used in Chinese medicine as an adaptogen, also aids in fighting off stress and disease. Continuing research suggests that astragalus boosts immunity, acts as an anti-inflammatory, aids in the proper regulation of insulation and related illnesses, can slow tumor growth and protects the cardiovascular system. 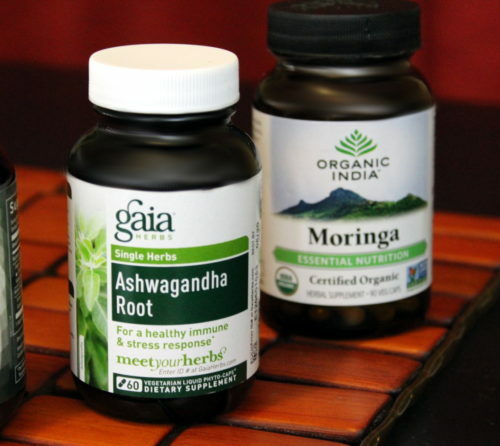 The other herbal supplement that I take daily is Gaia Herbs Ashwagandha Root. Ashwagandha root, like astragalus, is another adaptogenic herb. It helps to nourish and restore optimal nervous and immune system health by normalizing mood, energy levels, and overall immune function. For me, ashwagandha root helps immensely with my physical response to anxiety. Additionally, in Ayurvedic medicine, ashwagandha is used for its “grounding” properties for those with a high Vata as it aids in calming the mind and promoting restful sleep. Further, this highly nutritional herb assists in maintaining proper body nourishment while also supporting proper function of the adrenals. Ashwagandha is especially beneficial to seniors in need of a nourishing, natural source of energy. Probiotics are another easy, natural way to boost your immune system naturally. A must for a healthy gut, probiotics are live bacteria and yeasts that aid a healthy digestive system. Studies show that probiotics can help with issues such as irritable bowel syndrome, inflammatory bowel disease and both infectious and antibiotic related diarrhea. While others have also experienced relief from skin conditions such as eczema. Additional benefits include improved oral, vaginal and urinary health. And of course, for many people, probiotics also aid in the prevention of allergies and colds. 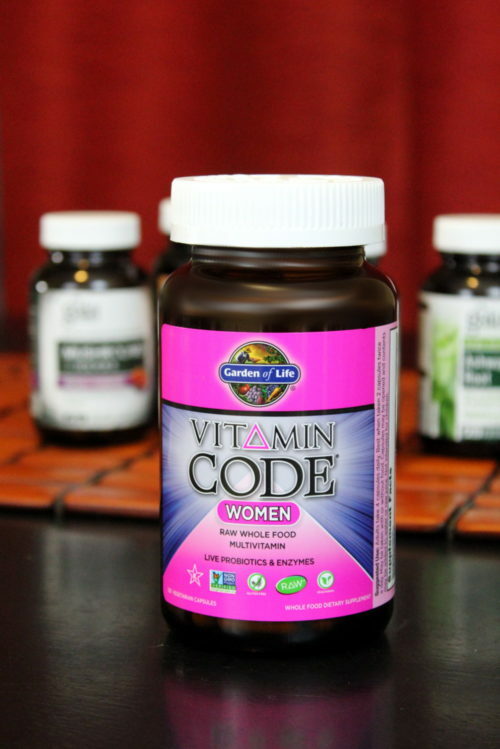 Because I need a healthy multi-vitamin I can trust in addition to probiotics, I take Garden of Life’s Vitamin Code Women’s Multivitamin. This product contains a blend of a raw organic fruits & vegetables, a raw probiotic & enzyme blend and a raw antioxidant & immune support complex. Additional ingredients include vitamins that support breast health, a woman’s reproductive system and bone strength. Purchase these herbal supplements and other natural food & health products at substantial savings from Thrive Market and get 25% off your first order! Drinking raw apple cider vinegar daily, either as a shot or as part of a tonic, is another great way to boost your immune system naturally. You know the saying “an apple a day keeps the doctor away.” Well, because raw apple cider isn’t pasteurized and still contains the “mother” it maintains many of the same nutritional benefits as the unfermented fruit. When apples are then fermented to produce apple cider vinegar, it produces a number of beneficial enzymes including natural probiotics that boost your overall wellness and immunity. 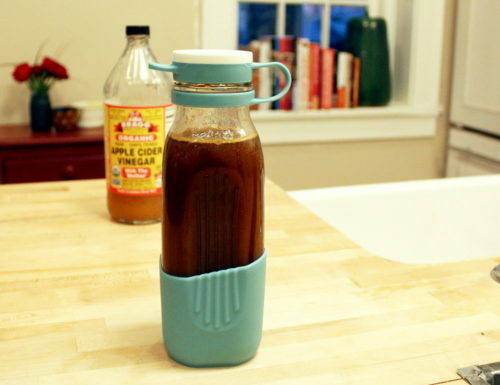 Additionally, raw apple cider is also rich in malic acid. Malic acid is naturally anti-viral and therefore it can help to prevent colds caused by viruses as well as hasten your recovery should you get sick. Apple cider vinegar further aids in digestion, can help you to maintain a healthy weight, assists in regulating blood sugar and can even lower blood pressure. All of these things promote good health and can make your body more able to fend off illnesses. I am a huge fan of Bragg’s Apple Cider Vinegar. Not only has this brand been around for a really long time, but you can also find it easily at most grocery and health food stores as well as online. Further, there is also a holistic book published by Melissa Bragg called Apple Cider Vinegar: Miracle Health System that help you get the most out of this superfood. Make my inflammation busting, immunity boosting turmeric, ginger & apple cider vinegar tonic recipe as part of your daily diet! Aromatherapeutic use of essential oils are another way to boost your immune system naturally. In addition to managing stress, getting sufficient rest and maintaining proper nutrition, essential oils can also help to protect your body from germs. Not only can you use essential oils to ease stress and calm your mind through aromatherapy, but certain essential oils also have strong antiviral and antibiotic properties. When using these essential oils with a diffuser, they can help to combat the airborne spread of germs. Some of these essential oils include clove, eucalyptus, frankincense, lemon, oregano and peppermint. I also especially like Spark Naturals Shield essential oil blend for this purpose. This natural essential oil blend is created from a combination of blend of clove, cinnamon bark, lemon, eucalyptus, and rosemary essential oils. Inspired by grave robbers during the plague in 15th century England, this blend was historically believed to protect them from illness when robbing dead plague victims. 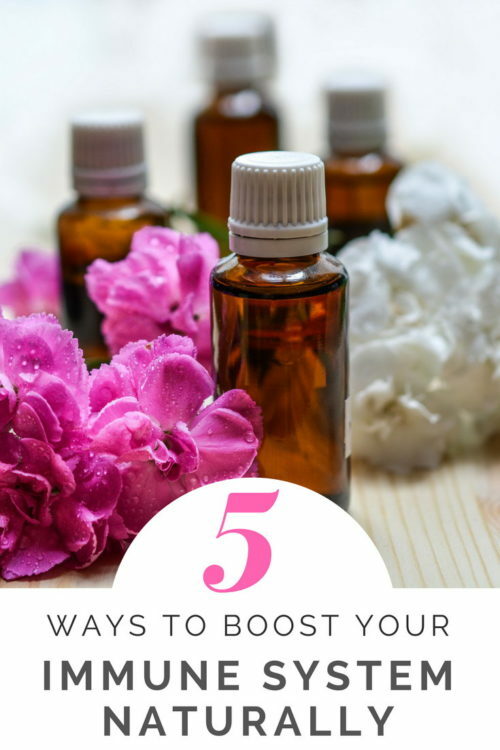 Want to explore more essential oils and save money? Join Spark Naturals Oil of the Month Club with no contracts + skip a month any time! In addition to these five ways to boost your immune system naturally, I also have a collection of natural ways to fight colds and flu. You can find that information here. 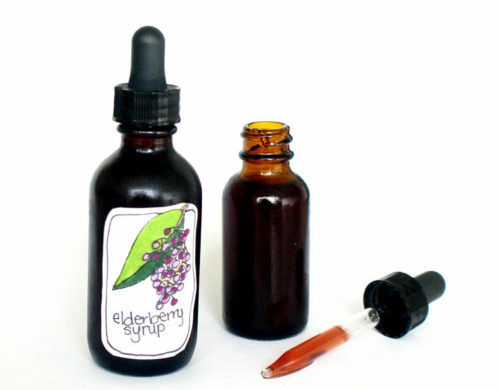 You may also be interested in my Natural Home Remedies + Herbal Health Care Pinterest board.